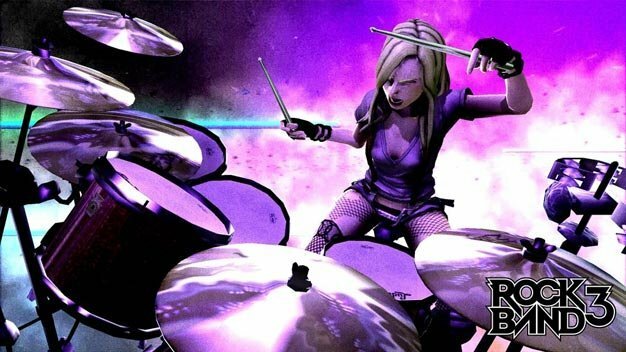 With the release of Rock Band 3 the franchise has sold over 16 million units; an impressive figure considering it’s not even a generation old yet. Still, developer Harmonix aren’t breaking out the champagne just yet; they want to conquer Europe first. Speaking to MCV, CEO Alex Rigopulos revealed: “The UK and Europe is hugely important to us, and honestly it’s been a real disappointment that we haven’t reached the same level of success in Europe yet as we have in the US. It’s something we think and talk about constantly – the ways we can remedy that and realise the potential in Europe. And we’re doing that in a number of ways. So more European artists coming to rock out, then. What do people want? A little more Stereophonics, Bloc Party, or Feeder would go down a treat for me.